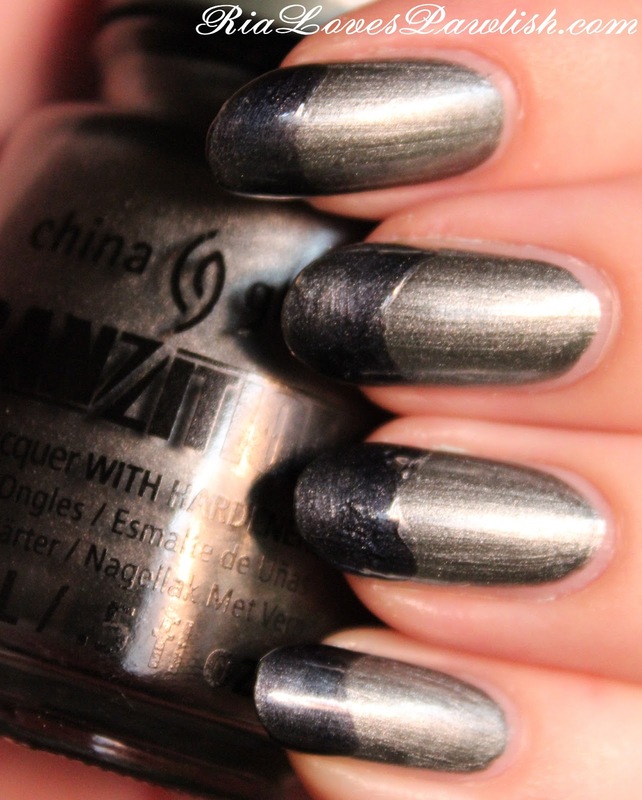 Ria Loves Pawlish: China Glaze Tranzitions... Shape Shifter, Duplicity, & Metallic Metamorphosis! 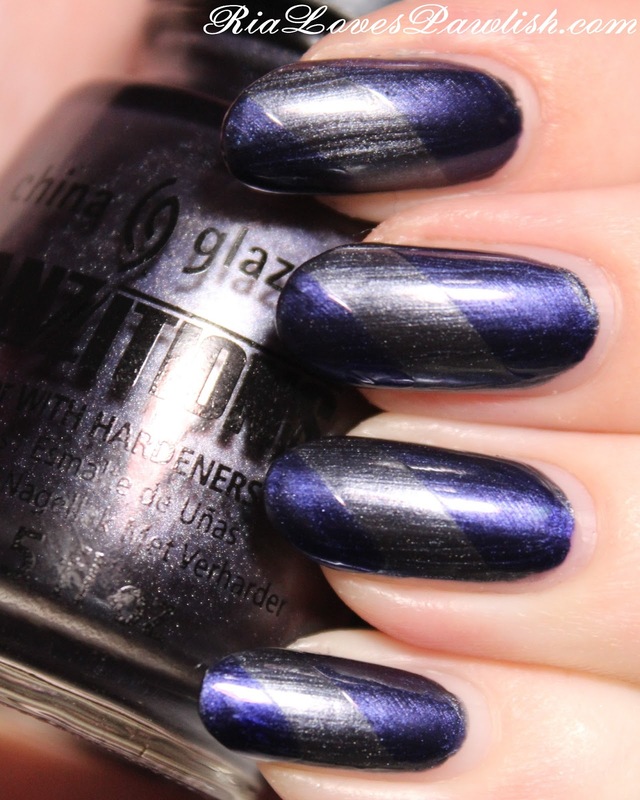 China Glaze Tranzitions... Shape Shifter, Duplicity, & Metallic Metamorphosis! today i have three polishes from the new China Glaze Tranzitions collection to share with you guys! this collection is pretty unusual... i definitely have nothing like it. all the polishes in this collection change color when you apply topcoat! this makes it very easy to do different nail art designs. you can use any topcoat with them, but China Glaze recommends their Fast Forward Top Coat and that is what i'll be using! all of the formulas of these polishes were really nice and opaque, you could probably get away with one coat... but i used two to ensure smoothness since i wasn't going to be using a topcoat over the whole nail. here are the bottle shots of these polishes... i love that the lids have stickers around them that show the color of the polish with and without topcoat! first up we have Shape Shifter, my favorite of these three! it is the most dramatic of the color changes, going from a gunmetal silver shimmer to a navy blue pearl. i was the most adventurous with this one, free-handing the topcoat so that there is a stripe of silver down the middle of the nail. i used one coat of topcoat for this mani! next up is Duplicity, a dusty teal creme that changes to a darker teal pearl! this one was the toughest to keep from being streaky once topcoat was applied... i used two coats, but i think if you can get it even, one coat would be best! for this one, i did a chevron French manicure with China Glaze Fast Forward Top Coat. the China Glaze Tranzitions collection will be available at fine salons and retailers in January 2013... my favorite China Glaze retailer is Sally Beauty Supply! These are a neat concept, but I don't think I will be getting any just because I always wear a top coat, so it kinda defeats the purpose. lol.